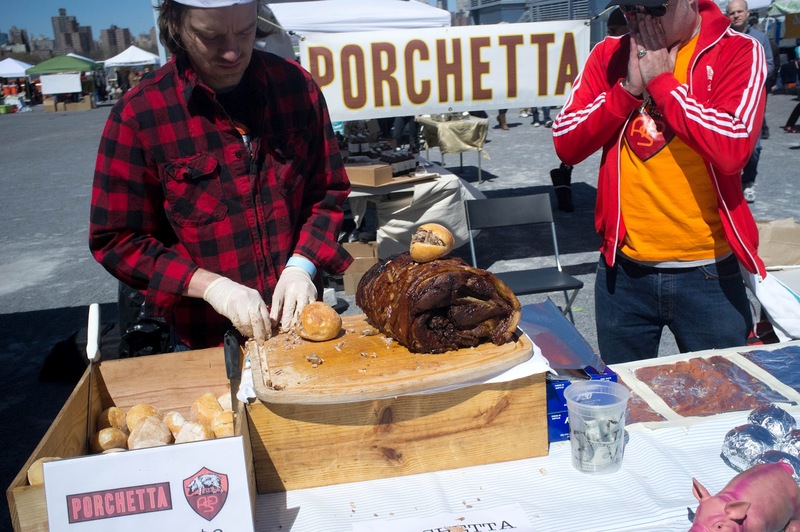 First stop was to the dudes at Porchetta. This salty, porky Italian street food is an easy thing to grab and munch while you walk around and form your attack plan. Next up we hit up Milk Truck for an artisinal three cheese grilled cheese sandwich. When split amongst three people, this made another nice appetizer as we navigated our way around. 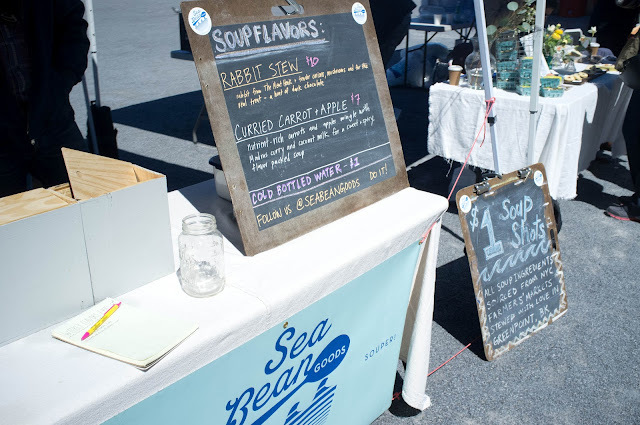 I stopped to get a $1 shot of rabbit stew at Sea Bean Goods. Smart thinking on their part to offer these little taster shooters. Did you know they offer soup subscriptions?? Pretty darn cool. Finally, it was time for the main event, our favorite: Scnitz! It's always a hard choice, but this time we went for the Sweet Onion. 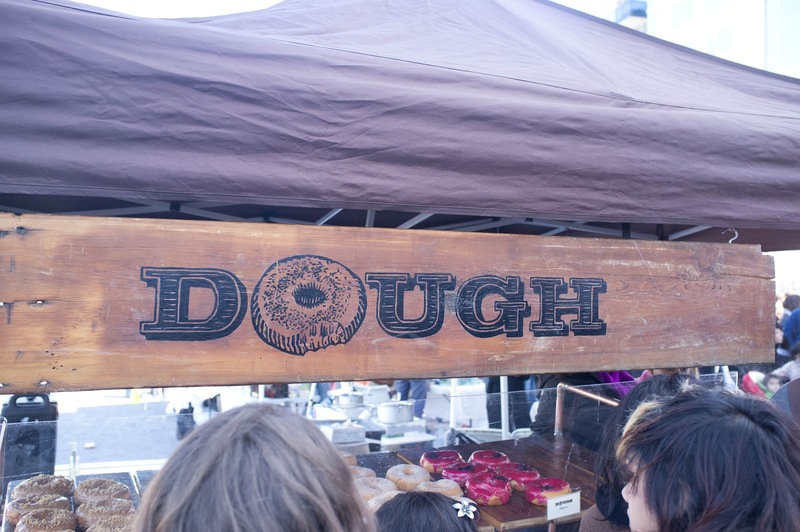 For a bit of something sweet, we waited in the long line for the legendary Dough. I got the Hibiscus doughnut with pink icing and a candied real hibiscus flower! So beautiful to look at, it was hard to take the first bite. But once I did, it was harder not to take another. 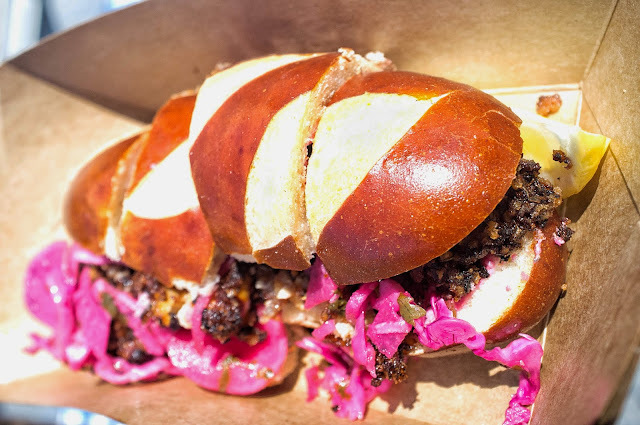 These doughnuts are definitely a different breed from our favorite local Doughnut Plant. These taste, well, like fried dough. Think zeppole or funnel cake and you'll have more of an idea of the flavor profile of these guys. 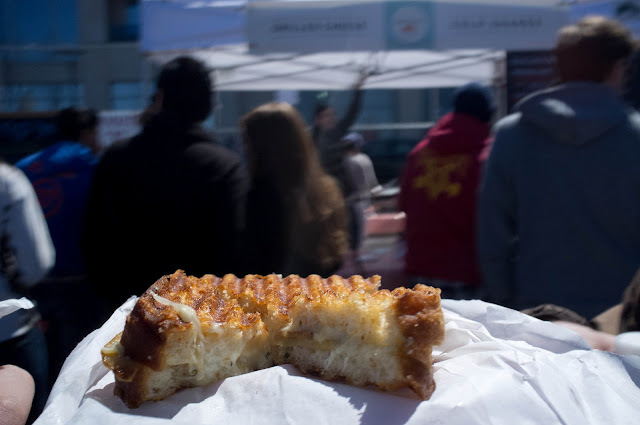 Well, there you have it folks, our first foodie foray to Smorgasburg of the year. 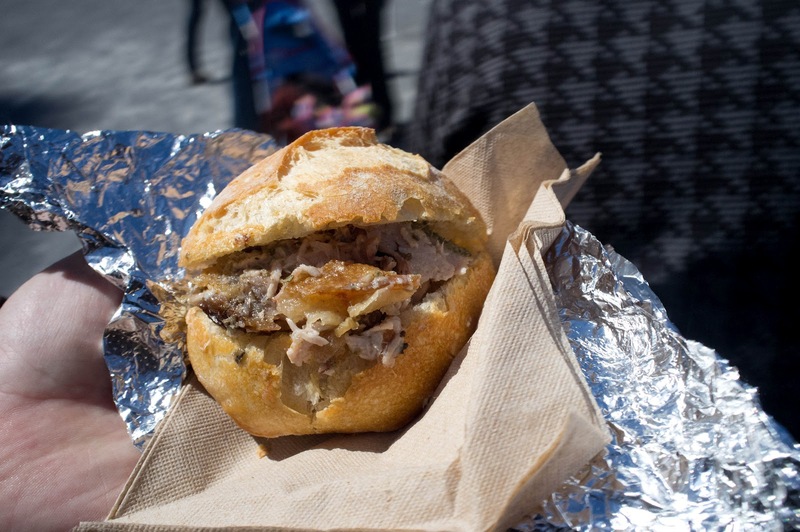 For more complete coverage, be sure to check out Serious Eats.